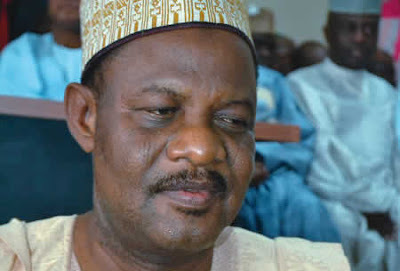 The Kwara State Chairman of the All Progressives Congress before the recent defection of some APC members to the PDP, Chief Ishola Fulani-Balogun, tells SUCCESS NWOGU of PUNCH Newspaper, that he is still the APC chairman in the state and why his executives can not be dissolve by the APC National Working Committees NWC. Why do you maintain that you are the chairman of the APC in Kwara State? I went to court when Alhaji Bashir Bolarinwa was announced as the caretaker committee chairman by the National Working Committee and the court gave us an injunction that Bolarinwa should stop parading himself as the caretaker committee chairman of the party in the state. Now that he is still parading himself as such, my executive will, again, approach the court to explain that he has been violating the order of the court. Since the court has given us an injunction, I am the chairman until the case is determined. He cannot call himself the chairman at all. Bolarinwa said the injunction was only for seven days and that it had elapsed. Until now, the court order has not been nullified. We are going to court on September 3 to address the matter. The court order could only be lifted when they file their defence and argue it. Up till now, nothing has been lifted. I was elected as the chairman of the party. My election was witnessed by the Independent National Electoral Commission, representatives of the national executive of our party and, after the election, an appeal panel was set up and there was no complaint against my election and that of my executive. I was sworn-in as the Chairman of the APC in Kwara and I have not defected. I have not gone anywhere. I am still in the APC in Kwara. It is not something that anybody can just wake up and say my executive has been dissolved. But the new caretaker committee chairman claimed that you defected to the Peoples Democratic Party with the Senate President, Dr. Bukola Saraki, who was the leader of the APC in the state at that time? I have not defected. All my executives at the state level have not defected. We were formally elected. Why should we defect? We have not defected from the party. But he claimed that you were at the meeting that Saraki had with his loyalists where he announced his defection from the APC to the PDP. What is your reaction? It is a blatant lie. Let them bring the pictures (of the event) out. I was not there when he (Saraki) defected and I was not there during the harmonisation meeting. How can I be going from one place to the other? I am the chairman of APC; I cannot be at a PDP event at all. So, what is your advice to him? 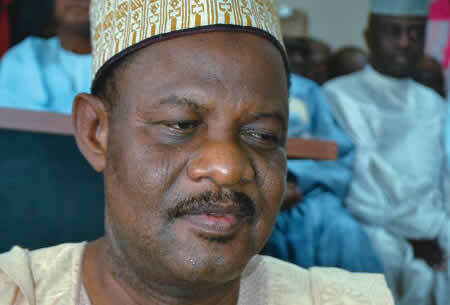 My advice to him is that he should forget his claim as the caretaker committee chairman of the APC in the state. He should join me to move the party forward. The elections are coming; we should unite so that we will be able to win Kwara State from the ruling party. So, I appeal to him to come to our secretariat and that all those who are backing him should also come to our party. There are no factions of APC in Kwara State. There is only one party and I am heading it. It has been alleged that you are being used to destroy the APC in the state with the assumption that you defected from the APC to the PDP with Saraki and that you cannot be against Saraki? That is a blatant lie. How can you claim that someone has defected and has not told anybody or made a public declaration of his defection and you are saying you think. You think what? Can you think for someone? I am a man of myself and I know what I can do. How can you say because someone defected, all the executive members of the party have defected? I remember in Benue and Sokoto, the state governors, Samuel Ortom and Aminu Tambuwal, respectively, defected from the APC to the PDP. The executives of the party were not dissolved. So, why should it be different in Kwara State? For me, they are just making assumptions. They think that because the Senate President left, I have defected. No! I am still in the APC. We, as a party, know what it takes to be a party. We, the executive, contested elections and we won. So, why should we leave the party? I am still the chairman of the party; I am not going anywhere. But he said your executive has been dissolved by the current NWC of the APC led by Adams Oshiomhole? The NWC has no power to do that. It has never happened for anyone to stay somewhere and dissolved a (state) executive. The election of my executive was supervised by party representatives and overseen by INEC. How can someone, somewhere say he has dissolved the executive? Before you dissolve an executive, we must have been called for a fair hearing. Nobody called us and nobody complained about anything to us. You know the strength of Saraki but Bolarinwa said the APC will defeat Saraki in the state in the next elections. Is that your position too? Let them come so that we will be together and then we put our strategies together on how to do it. It is when we come together that we can see how it can be done. It is not by talking. Let us sit together, plan and see what we can do. Can they really defeat Saraki? Let him come so that we will be together and plan together to get that one done. You cannot do that one just by talking. They should come so we will be together and, if God is on our side, we will then see. What is your advice to the APC members?